Oh boy, are these good. This week, I thought I’d share this recipe from The Pioneer Woman. 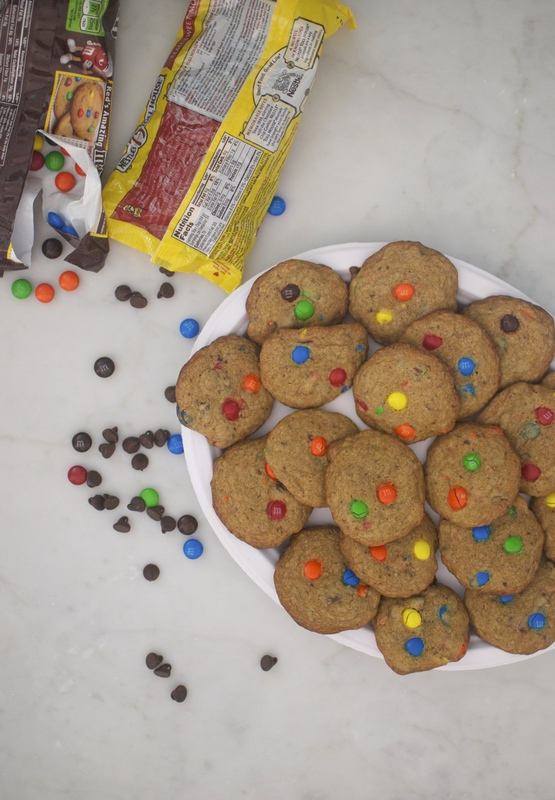 These fun, colorful cookies are perfect for kids and adults, and they’d make a great Super Bowl snack. 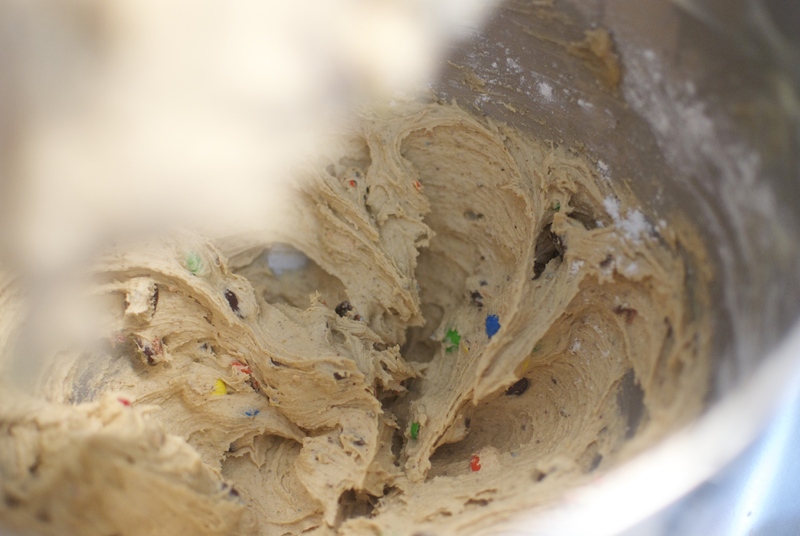 Browned butter adds a fantastic nutty flavor to anything you put it in, and it takes classic M&M cookies to new heights. It will bubble after a few minutes, so keep an eye on it! You can use a spatula (or a gentle swirling motion) to keep it moving. Once the butter is a medium golden color, pour it into a heatproof bowl. It’ll continue to brown in the pan until you get this glorious, dark, yummy stuff! 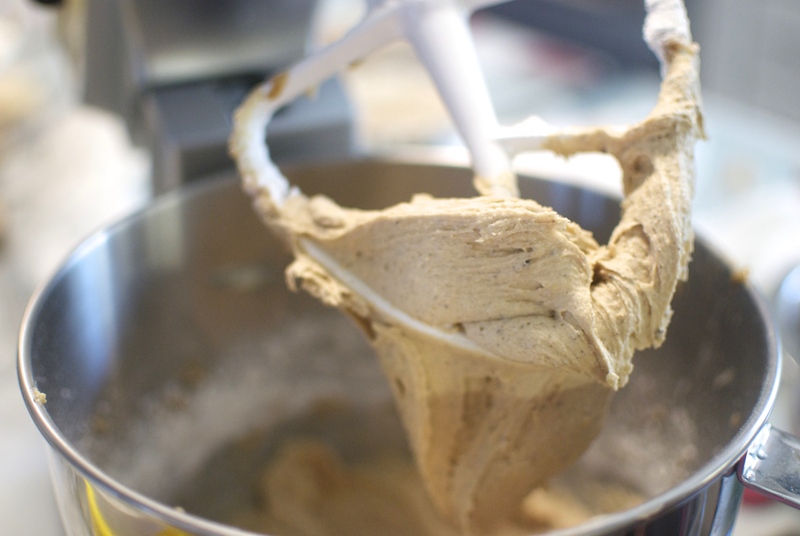 While the browned butter cools, grab the bowl of a stand mixer (or just a large bowl) and cream together some more butter, white sugar and brown sugar–the good stuff. 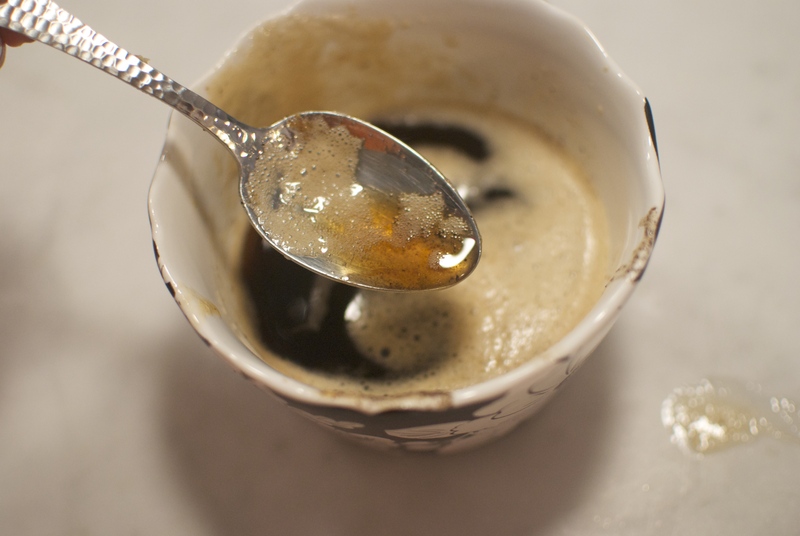 Next, crack in two eggs and add a splash of vanilla (or more than a splash, if you’re like me). Mix this together, then drizzle in the cooled brown butter with the mixer on medium-low. Time for the dry ingredients! In a separate bowl, whisk together some flour, instant coffee (which will NOT make these cookies taste like coffee, I promise), salt and baking soda. 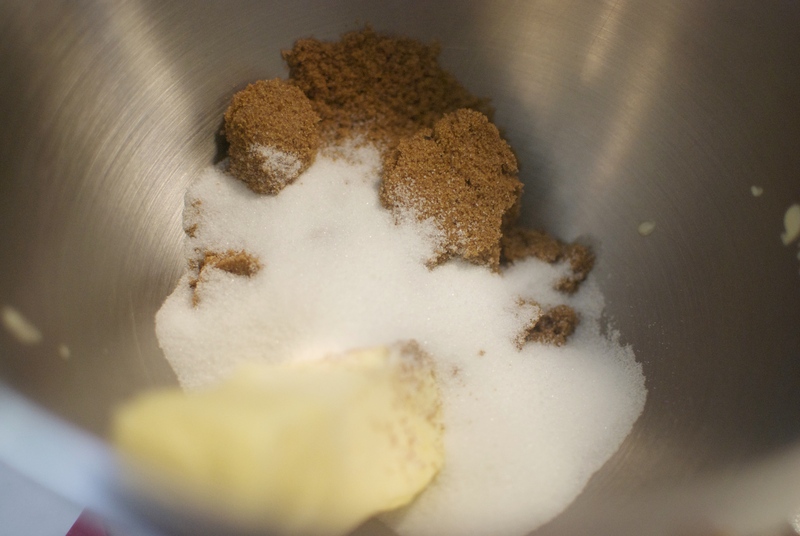 Gradually add the flour mixture to the wet ingredients, scraping down the bowl as needed. 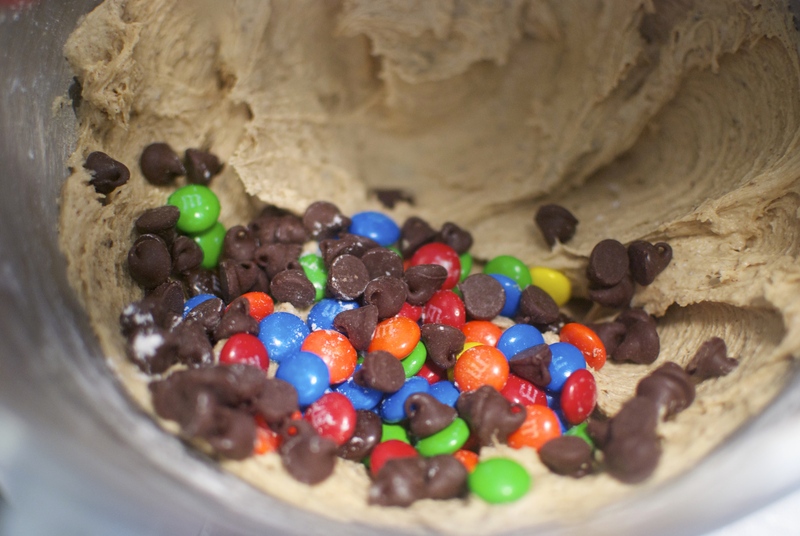 Here comes the best part: M&M’s and chocolate chips! Stir ’em into the batter. 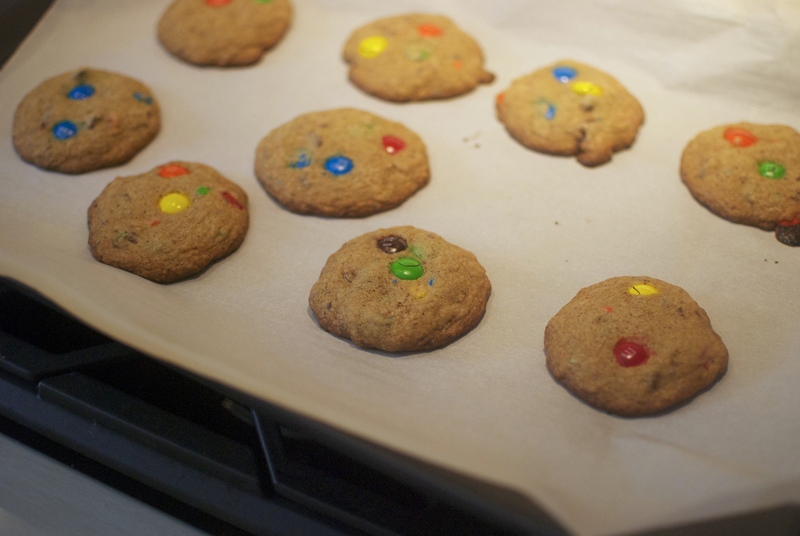 Now, just scoop by the rounded tablespoon onto parchment-lined baking sheets. 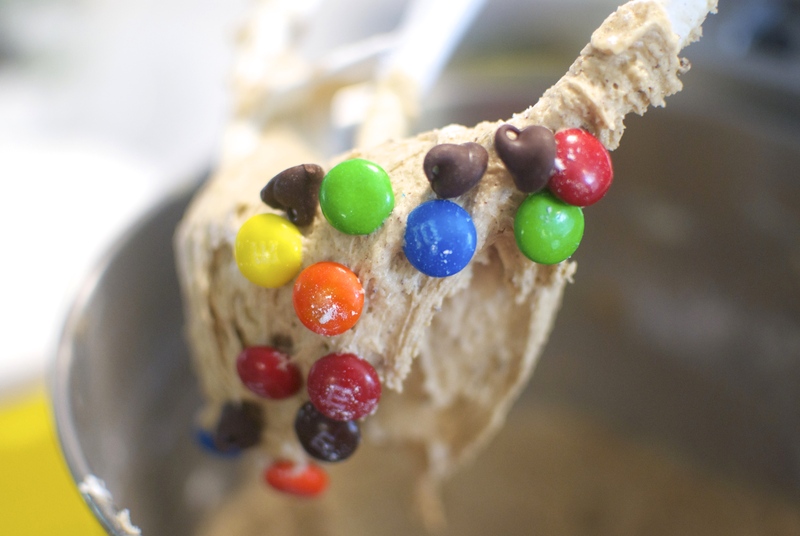 I topped mine with a few extra M&M’s just to be sure each cookie was nice and colorful. Refrigerate for 10 minutes (if you have the time), then pop them into a 375 F oven for 7-8 minutes. Or until they look like this! Give this recipe a try, my friends. 1. Preheat the oven to 375 F. Melt 1 stick of butter in a medium saucepan over medium heat. 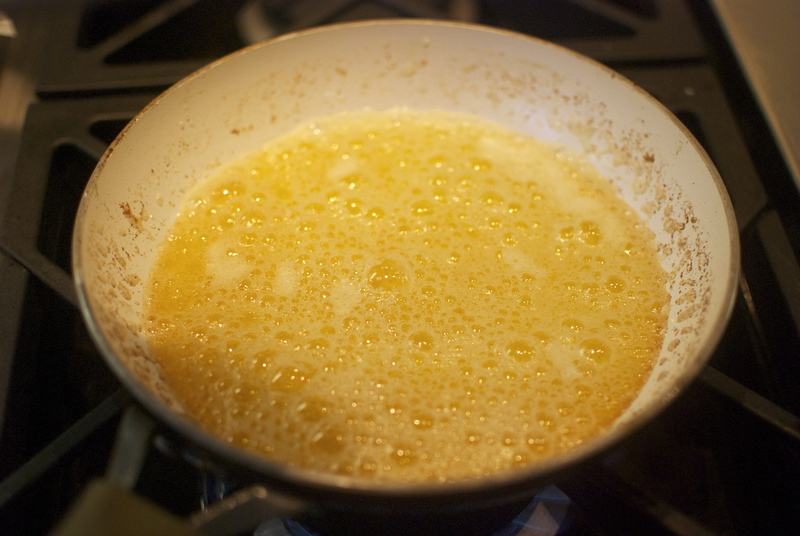 Let it bubble for a few minutes, swirling the pan or using a spatula to keep the butter moving a bit. 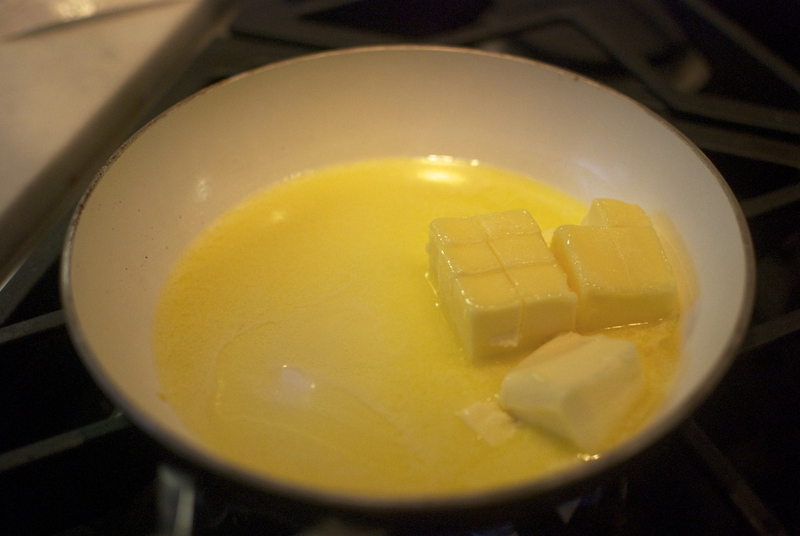 When the butter is medium golden brown in color, turn off the heat and pour the butter into a heatproof bowl. Allow to cool completely. 2. 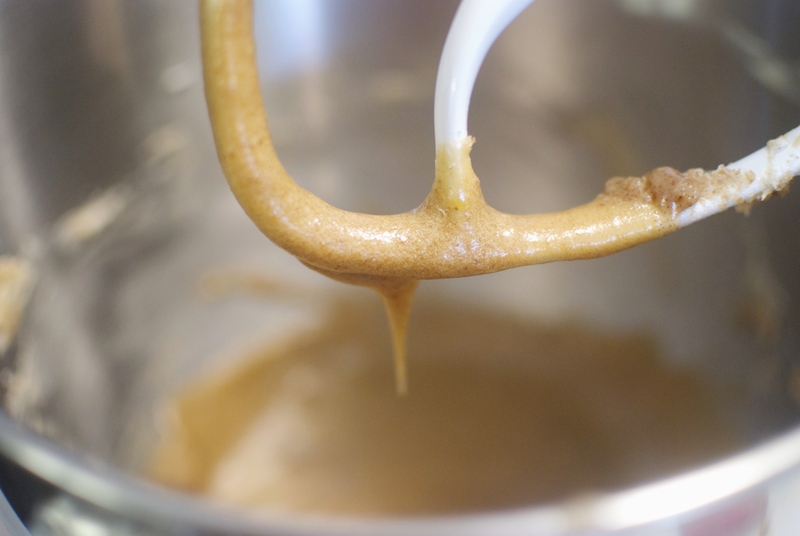 While the browned butter cools, cream the other stick of butter and the two sugars in the bowl of a stand mixer (or a large bowl if you’re using a hand mixer). Beat in the eggs and vanilla. 3. 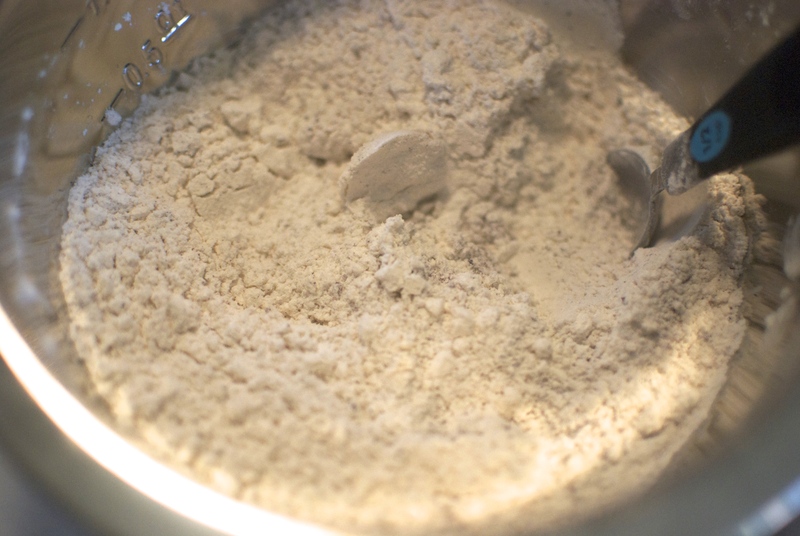 In a separate large bowl, combine the flour, coffee granules, baking soda and salt. 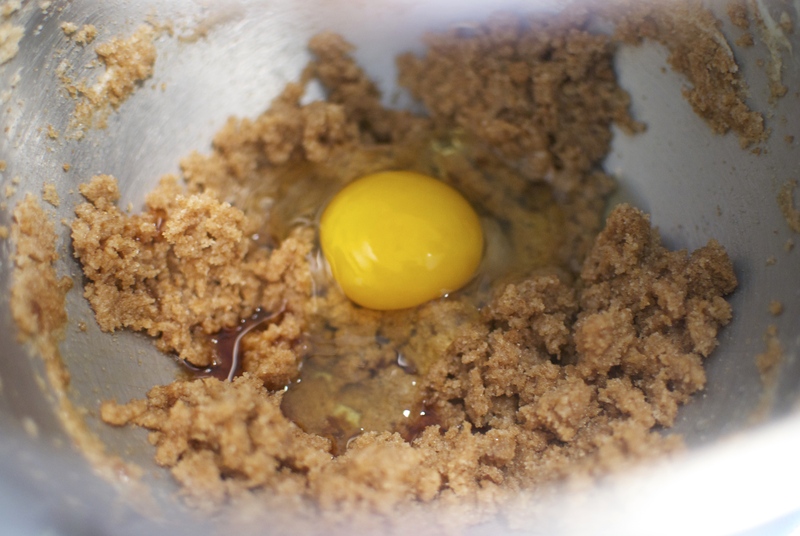 Gradually add this in to the wet ingredients, scraping down the bowl as needed. 4. 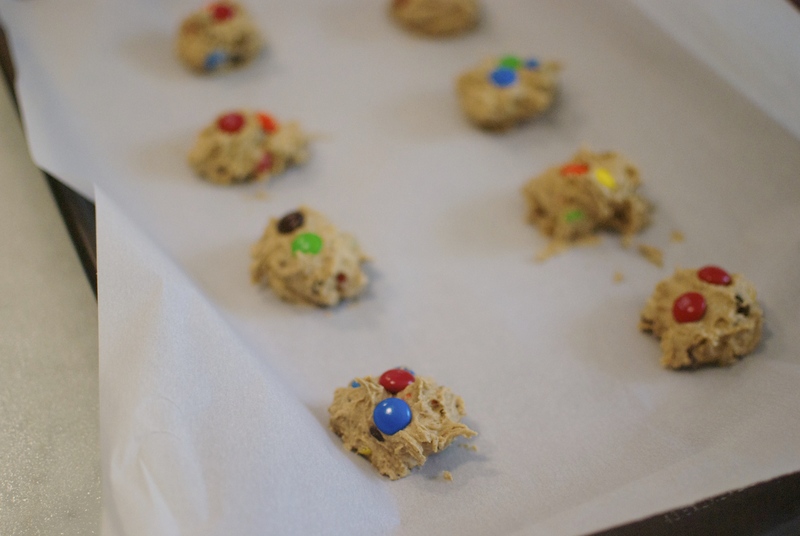 Stir in the M&M’s and chocolate chips, then scoop by the rounded tablespoon onto parchment lined baking sheets. Chill for 10 minutes (optional–it’s fine if you don’t have the time). 5. Bake for 7-8 minutes, until golden. Happy Super Bowling, and happy nibbling!